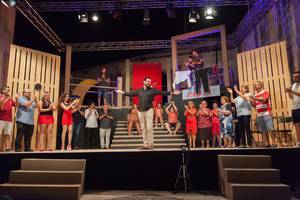 A sweet and authentic performance called ‘Il-Ħasla’ portrays the traditional and warming lifestyle of Valletta residents. 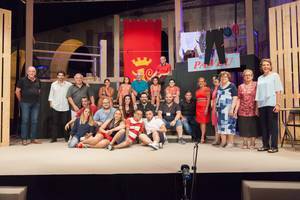 The show is part of an artistic project in the local Valletta community called ‘Ġewwa Barra’ which is coordinated by Dr Victor Jacono for the Valletta 2018 Foundation. The main objective of this project was to show how locals are affected by recent modern changes in the capital city of Valletta with all their positive and negative aspects. The actors in the show are all residents or related in some way to the beautiful capital city of Valletta. This performance was the first experience to some of the actors. It is remarkable how the community got together to show what is it like to live in Valletta. The performance also included well-known traditions celebrated especially in Valletta with great enthusiasm, such as carnival, the parish feasts and their football team. To all Maltese, these are familiar and nostalgic. The story is about the locals in Valletta and how they reacted to a secret roaming around in the streets of their city. Plans were made that the residents’ houses were going to be taken away from them to be replaced with a modern and better project. The secret is shared between two cousins living in the same street by a genius and surprising method which goes way back to their childhood. The performance keeps traditions made between family and neighbours in Valletta. The production shows how important and beloved the city is to the locals. The story ends with an unexpected plot twist. The show also has music which gives you a traditional and welcoming feel. 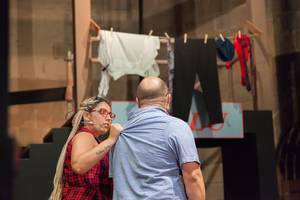 The language is colloquial and it is a family-friendly show. 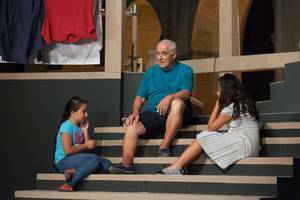 Something which impressed me about the show were the genuine scenes which were highly relatable to residents in Valletta. It is astonishing how every person is affected differently with the changes made commercially and culturally. No matter how major the change is, the community stays strong and true to their roots, never forgetting where they are from. A massive well done to all the actors, crew, director, and helpers. You really sent us all the audience with a powerful and heart-warming message.